I think things would have been different if George ZImmerman was black for this reason: he never would have been charged with a crime. What happened was that this became a focus for a civil rights event which again is a wonderful event to have but they decided that George Zimmerman would be the person who they were to blame and sort of use as the creation as a civil rights violation, none of which was born out by the facts of that night. …If only those who decided to condemn Mr. Zimmerman as quickly and viciously as they did would have taken just a little bit of time to find out who it was that they were condemning, it would never have happened. And it certainly wouldn’t have happened if he was black because those people who decided that they were going to make him the scapegoat would not have. 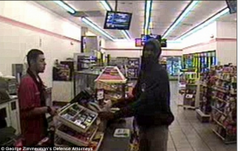 Trayvon the night of the shooting buying skittles and Arizona Iced Tea. George Zimmerman defense attorneys Mark O’Mara and Don West both contend that the shooting of Trayvon Martin had everything to do with self defense and nothing to do with civil rights violations. 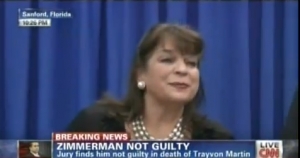 In fact, O’Mara contends that using the Zimmerman case to try and make a civil rights cause celebre out of it will backfire on Martin supporters. I kept saying a year ago that I really hope that they don’t. I kept suggesting to Mr. Crump on three separate occasions that we not make this the civil rights case of the century because it’s just not. It’s just not. Did it bring to the forefront the conversation that young black males are treated a certain way in the criminal justice system? Absolutely! Is that positive? Absolutely! Do we need to have that conversation? Absolutely! 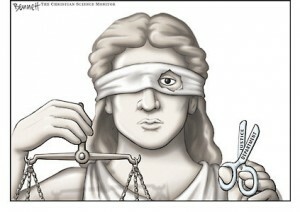 However, if portending that conversation on top of the Zimmerman verdict is going to affect that ability to have that conversation then shame on them because that conversation needs to be had and now it may not be had because we have sort of artificially separated the two camps, if you will, over this verdict. This verdict still has nothing to do with civil rights. 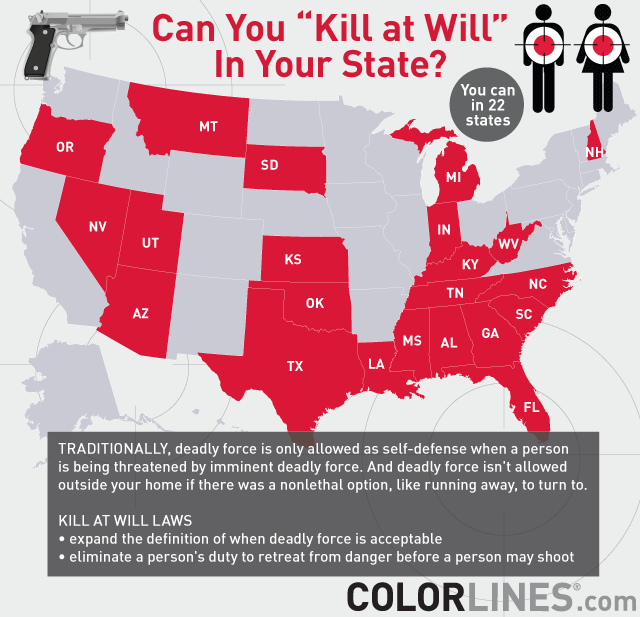 Making the rounds today is this graphic of where Stand Your Ground or self defense laws exist and where they refer to them as Kill at Will states.What’s the old saying? I’d rather be judged by 12 (in this case 6) than carried by six? These people won’t be happy until all victims refuse to fight back. For those of you who didn’t bother to watch or read about the trial and its aftermath except to receive as gospel the Rev Al’s talking points about it, both the chief prosecutor and lead attorney for the state said definitively that self defense laws did NOT make it harder to try George Zimmerman AND that they haven’t changed much over the years. See my post on that aspect of the case here. 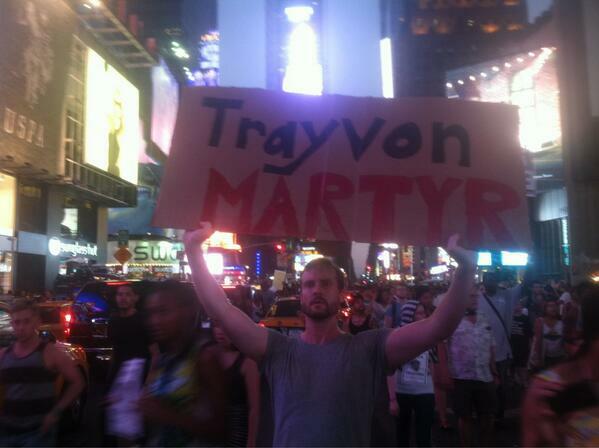 The call went out within minutes of the George Zimmerman exoneration in Florida last night. Laughing at Liberals at www.YouTube.com/LaughingatLiberals checked out last nigh’ts antics and found a very underwhelming call to action–except when it came to F*** the Cops and that “Every cop is a target,” and then the crowd became animated. Also, for those of you who live on Hawthorne, no cop was involved in any way in the Trayvon Martin case except to investigate it. Prosecutors in the George Zimmerman case were asked by media members last night after the verdict if self defense and Stand Your Ground laws made it more difficult to prosecute him. Both said no and both said in fact that the law in Florida hadn’t changed all that much at all since Stand Your Ground was passed in 2005. So much for that media meme. Still, I know it will come back time and again, so let’s get some quotes out there so even the folks who live on Hawthorne Blvd can understand them. At 10:06, a reporter from the Miami Herald asks about the Stand Your Ground law. Prosecutor Angela Corey: “Well, justifiable use of deadly force has changed to a certain extent. Stand Your Ground is a procedural mechanism as we call it where we fully expected it because of what we were hearing that the defense would request a Stand Your Ground hearing, we would have put on the same evidence. 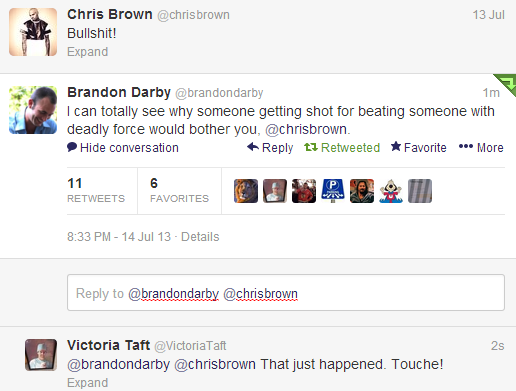 It would have been front of just a judge instead of a jury. Reporter: What about the duty to retreat aspect? Prosecutor Corey: Well the duty to retreat aspect had sort of disappeared before Stand Your Ground kicked in. 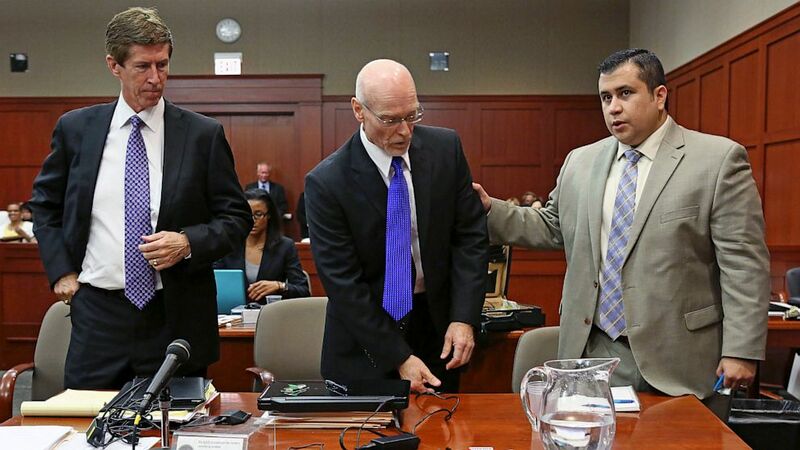 Prosecutors overcharged and overreached in the prosecution of George Zimmerman. However, in the post verdict news conference last night, the woman responsible for overcharging Zimmerman, telegraphed to the family what she believes is the foundation for a civil lawsuit against the exonerated defendant. And here we go again. On one hand prosecutor Angela Coury says the case ‘has never been about race or about the right to bear arms.’ Which, as we know, is laughable on its face because these issues have always been at the forefront of the prosecution, Justice Department, professional race baiters’ efforts as a sideshow to these proceedings. Martin’s parents are considering bringing a civil case against Zimmerman and Al Sharpton has asked Attorney General Eric Holder to begin a Federal Civil Rights case against Zimmerman. Confirmed: Justice Not Color Blind in Obama Administration. Sent DOJ Officials to Florida to Gin Up Rallies Against George Zimmerman. 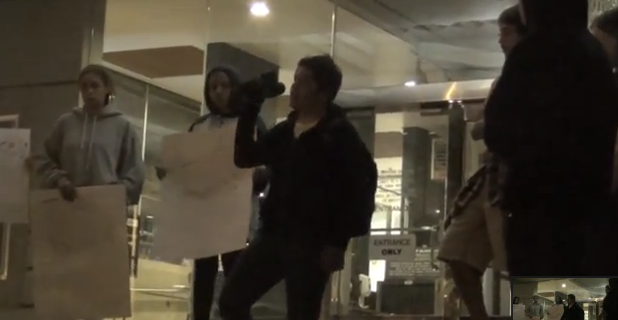 The Obama Justice Department paid staffers to go to Florida to gin up rallies against defendant George Zimmerman in the killing of Trayvon Martin. How do we know this? Because they said so. I didn’t know the Justice Department had event planners ready to deploy. Imagine if the Justice Department under the auspices of the Obama White House sent someone to destroy you. 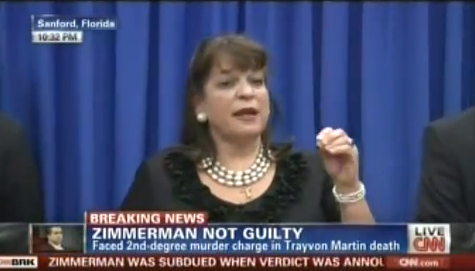 At 16:07 in this post verdict news conference, Prosecutors still cannot justify what Trayvon Martin appears to have actually done–start a physical altercation with George Zimmerman. They say the Martin had ‘every right’ to be where he was and that is absolutely true, but he did not have ‘every right’ to start a fight with Zimmerman. Prosecutors won’t say it because it guts their case.